Your Dream Home Awaits in Brambleton Says Mom The Magnificent! Our neighbor Robyn Davis, of Mom the Magnificent fame, recently stopped by Brambleton and had the opportunity to cook a festive fall dish just in time for Thanksgiving last week. 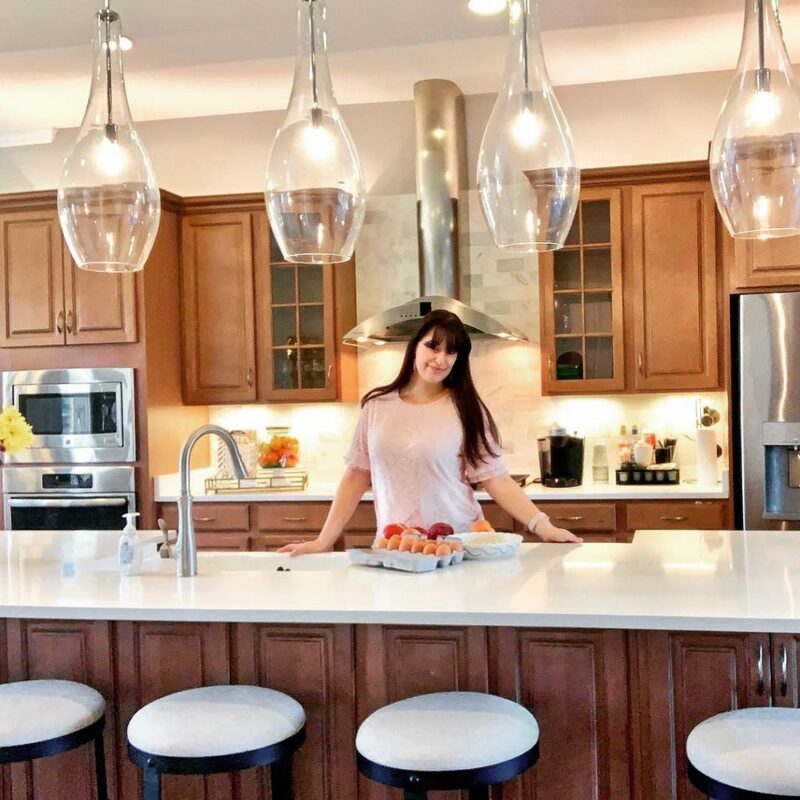 Take a look at her blog post below and be sure to follow her on Facebook and Instagram for more tips on mom life and parenting in the DC Metro area. 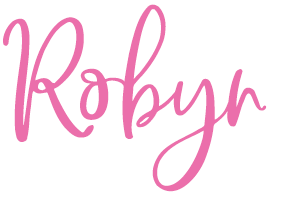 Thanks for visiting Robyn! We hope to see you here at Brambleton again soon. I had the best time playing house in a gorgeous model home right in the heart of a special community. Have you heard of the beautiful Brambleton community? Brambleton is where the city connects with the suburbs. There has been an evolution in American community design over the past 20 years, and one community in the DC Metro region has been a trendsetter. 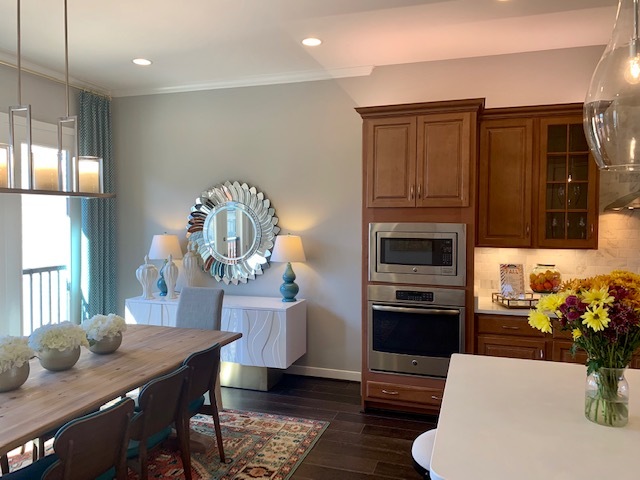 That trend is for urban-style communities in more relaxed, suburban locations, and Brambleton in eastern Loudoun County, Virginia, is a nation-leading example of how this new way of living is changing the American landscape – and Americans’ lifestyles. I had the pleasure of touring a Van Metre Model home located just walking distance from the town center. Van Metre is really bringing style, modernity, and conveniences to their homes here in Brambleton. I loved the layout of the kitchen and dining area. The rooftop patio is exquisite, and I did not want to leave! Like I mentioned, these townhomes are located near the town center. 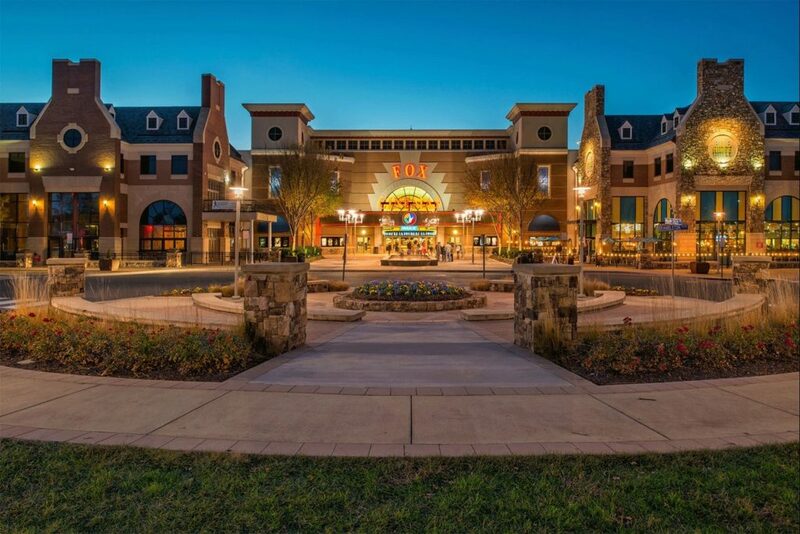 The Brambleton Town Center offers more options for entertainment, shopping and restaurants near Ashburn, Virginia. Whether you’re looking for things to do in Brambleton, getting fit at Onelife Fitness, enjoying a summer concert, dining al fresco or browsing the latest fashions, Brambleton Town Center has it all within walking distance. I picked up all the items I needed for some baking that afternoon at the EatLoCo farmers market! It has everything you need to enjoy a night on the town, a quiet afternoon, or even a walk in the park. This neighborhood is so friendly and the community is thriving! If you are looking for your dream home in your dream community, Brambleton might be for you! For more details and to learn how you can tour a home, click here. 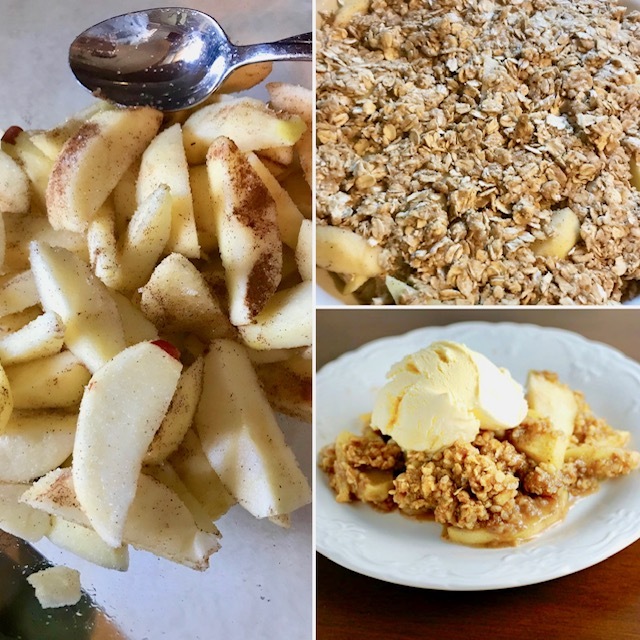 Lastly, I wanted to leave you with my favorite and so simple apple crisp! A perfect dish to make in your new home, or make your home smell like a fall wonderland! Combine brown sugar, oats, flour and cinnamon in bowl; cut in butter with pastry blender or fork until mixture resembles coarse crumbs. Sprinkle sugar mixture over apples. Bake 25-35 minutes or until apples are tender and topping is golden brown. Serve warm with ice cream or caramel drizzle. Enjoy! 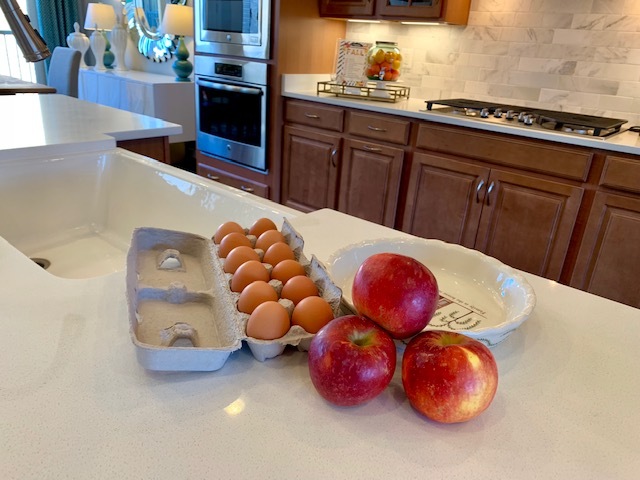 Tell me, what would your dream kitchen include?